Guy Hausler of SANParks’ Veterinary Wildlife Services in Skukuza is the primary investigator of the Kruger National Park Yellow-billed Oxpecker Project. 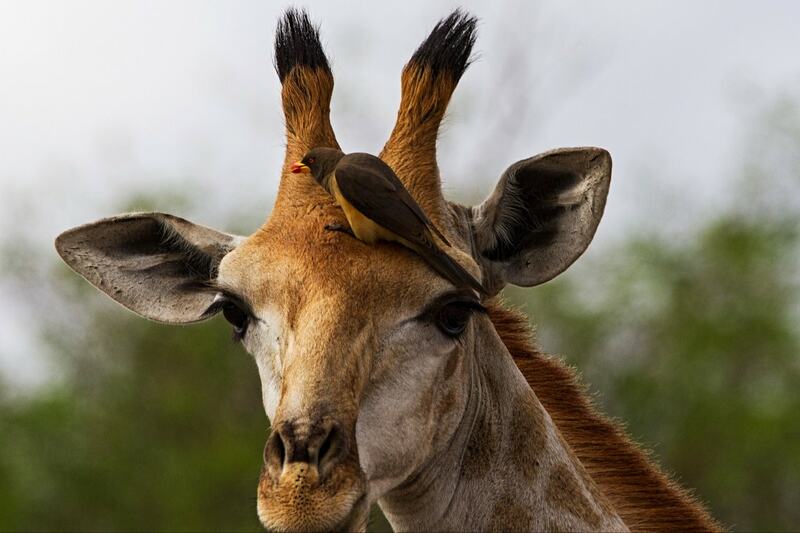 For Guy, yellow-billed oxpeckers have always held a fascination and he is now collecting data for his master’s degree in nature conservation. 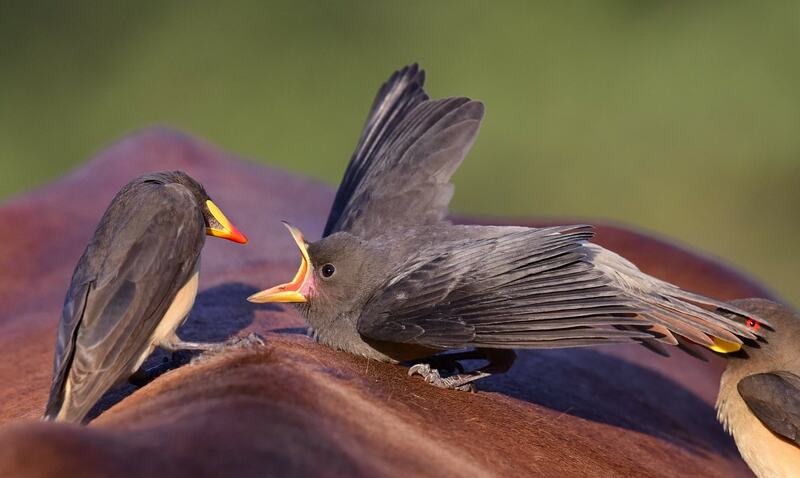 “Yellow-billed oxpeckers have spread throughout the park over the last 30-odd years and they are doing, we think, fairly well. The thing is, no one really knows. We see them a lot, but nobody knows the exact extent of their distribution. Although they are currently listed as least concern by the IUCN, they have experienced crazy range constrictions elsewhere in Africa,” says Guy. 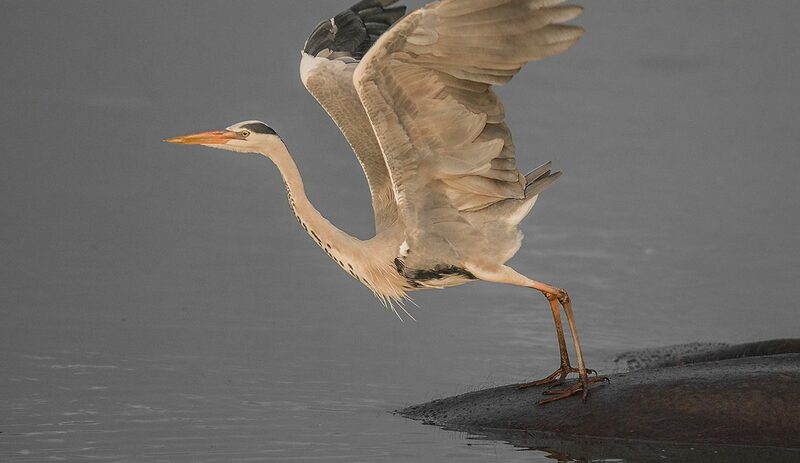 Because the birds are generally poorly studied, Guy’s research aims to discover more about the species. 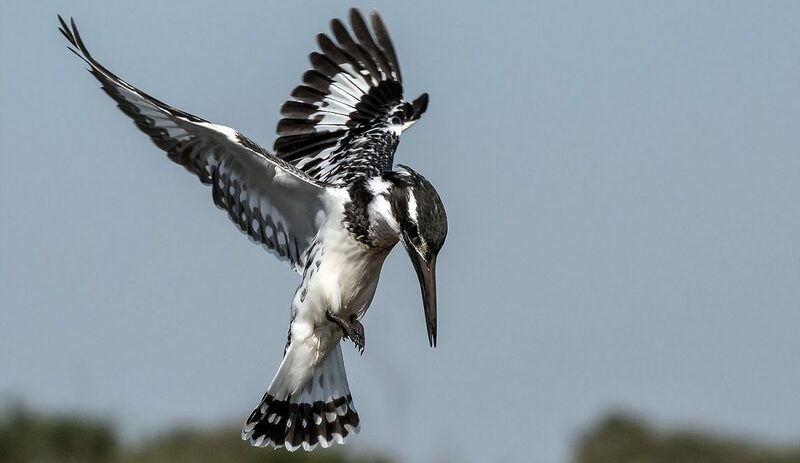 Not only their current fine-scale distribution in the Kruger, but also their nesting behaviour, ecology and host preferences. 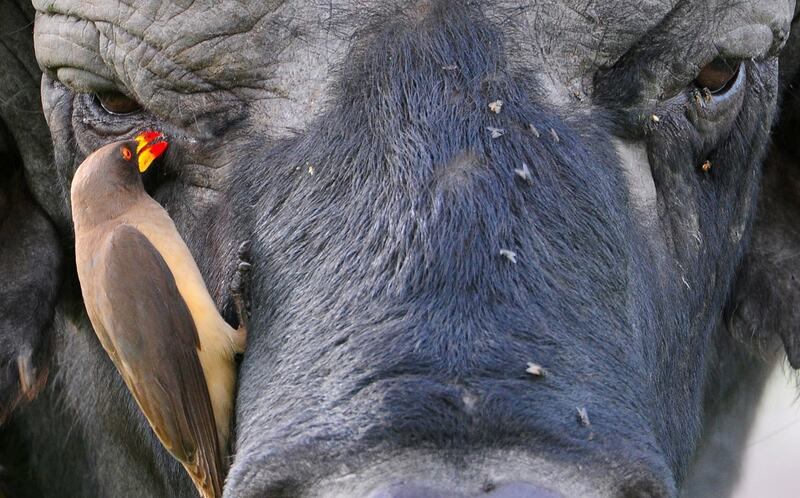 The yellow-billed oxpecker’s bill has a distinct yellow base. 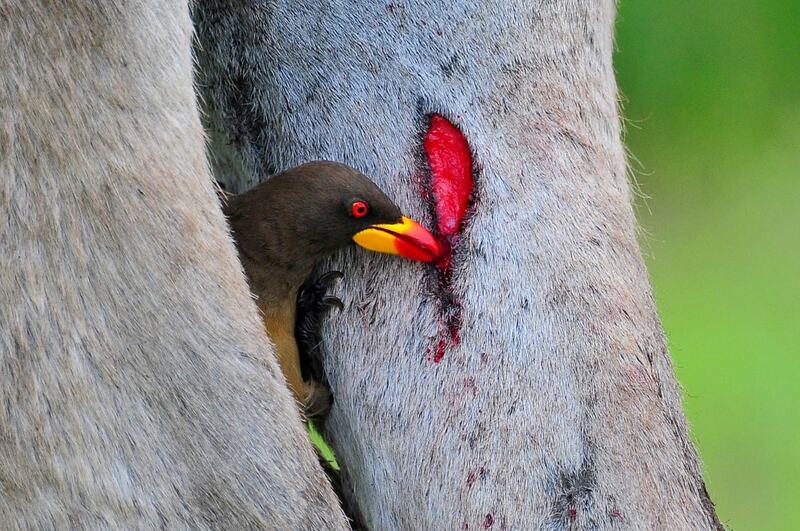 Red-billed oxpeckers have a prominent yellow eye-ring. Yellow-billed oxpeckers have a pale, beige-coloured rump. Submit the data, along with your personal details via email ([email protected]), WhatsApp (+27 (0)79 967 6109), or visit the Kruger National Park Yellow-billed Oxpecker Project’s Facebook page. Important: Don’t post any pictures of rhino on social media. With every submission, you will be entered into a lucky draw to stand a chance to win a R10,000 voucher for photographic equipment. The winner will be announced at the end of 2018. 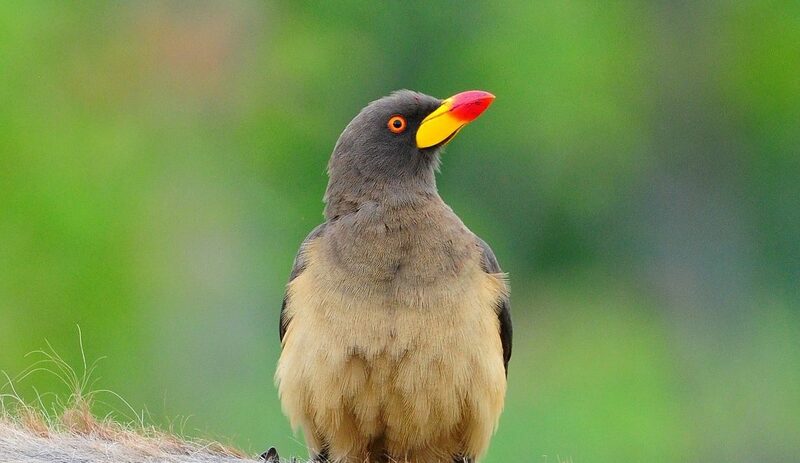 It was reported above that no one knew how yellow billed oxpeckers suddenly appeared at Shingwedzi. I’m very sure that there was an exercise to reintroduce them to Krugerat least thirty years ago. I remember being quite excited to see them on buffaloes at Punda not long after I’d read of the reintroduction. Must admit I have not seen any on my recent visits to Kruger. Regretfully all too infrequent now as I live in deepest (and driest) Cape! Regarding elephants and mud slides I was in a hide in the Tuli Block just off the Limpopo many years ago. About four big bull elephants arrived at a 3 m or so muddy bank into a large dam. I was very ammused to see a couple of them slide down on their bottoms and I could swear they had a smile on their faces! !